Republican legislative leaders in Michigan again are taking aim at reforming the state’s no-fault auto insurance system, saying Michigan drivers across the state are demanding lower rates for car insurance. Changes to no-fault — and its unlimited, lifetime medical benefits that are unique to Michigan — that can win a majority of votes in the Legislature have stymied lawmakers for years. That could change this term, leaders of the Republican-led House and Senate say. Senate Majority Leader Mike Shirkey, R-Clarklake, and House Speaker Lee Chatfield, R-Levering, both identified no-fault reform as a top priority. Some lawmakers taking the lead on the issue said they heard from constituents in the 2018 election cycle who are tired of paying high insurance rates. Last week, a federal judge, during a hearing in a no-fault lawsuit brought by Detroit Mayor Mike Duggan, said the costs of Michigan’s system are “shameful” and called on state policymakers to do something about it. Despite mounting pressure, breaking the impasse will be difficult. Past efforts have failed to yield a compromise among powerful groups that lobby on behalf of the insurance industry, medical providers and trial attorneys — all of which have built businesses around Michigan’s no-fault system and are among the state’s largest campaign contributors. “Some of the state’s biggest political players are heavily invested in this debate, and some of these political players give to lawmakers on both sides of the aisle,” said Craig Mauger, executive director of the Michigan Campaign Finance Network, which has followed the political money on no-fault. Here’s a look at how the issue failed to gain traction in the past — and what could be different this time. Why is Michigan no-fault auto insurance so costly? Michigan drivers pay some of the highest auto insurance rates in the country. Detroit drivers pay the highest rates in the state, which has led many to either register cars in other cities, buy seven-day insurance policies that last long enough to register a vehicle with the state, or go without auto insurance altogether. The most expensive piece of an auto insurance policy is personal injury protection, known as PIP. Personal injury coverage in Michigan is not only required, it is unlimited, meaning the cost of treating catastrophic injuries sustained in a crash is covered for life. Michigan does not offer any options for drivers interested in purchasing lesser PIP coverage in hopes of lowering their premiums. As Bridge Magazine and Crain’s Detroit Business have reported, soaring medical costs in Michigan have been the major driver pushing premiums higher. Besides unlimited care, Michigan does not have a cap on what hospitals and health care providers may charge. The result: The cost per injury in Michigan is the highest in the country — and five times higher than the next closest state, New Jersey. The nonpartisan Citizens Research Council of Michigan has studied medical costs in the no-fault system, and recommended a series of reforms that could address both costs and customers’ premiums. Additionally, auto insurers base rates on a variety of factors, including some unrelated to driving, such as the insured’s ZIP code, credit score, gender and age. There’s no standard requirement as to what factors insurers are required to use, and not all carriers use the same ones. The political stalemate has resulted from disagreement over a number of factors, including how much medical providers should be able to charge for crash victims’ care, whether drivers should be given options about how much personal injury coverage to buy, and whether insurers should be allowed to use non-driving factors like ZIP codes and credit scores when setting rates. Disagreements don’t fall neatly along partisan lines. More Republicans than Democrats have supported the idea of offering drivers choices in the amount of personal injury coverage they can buy, while many Democrats say ending geographic “redlining” practices used to set rates is a priority. The state House and Senate each voted on no-fault reform legislation last term, but neither advanced to the governor’s desk. A long-shot bid to resurrect the debate fell short during the lame-duck session that ended in December. Related: Bipartisan bills: Will latest measure put an end to lame duck in Michigan? In 2017, the Republican-controlled House voted 45-63 to reject a bill that would create tiers of personal injury coverage ranging from $250,000 to unlimited. Sponsored by then-state Rep. Lana Theis, R-Brighton, and backed by then-Republican House Speaker Tom Leonard and Detroit Mayor Mike Duggan, a Democrat, the bill also would have required auto insurers to reduce PIP premiums by set percentages ranging from 10 percent to 40 percent. Four Democrats, all from Detroit, voted to support the bill. 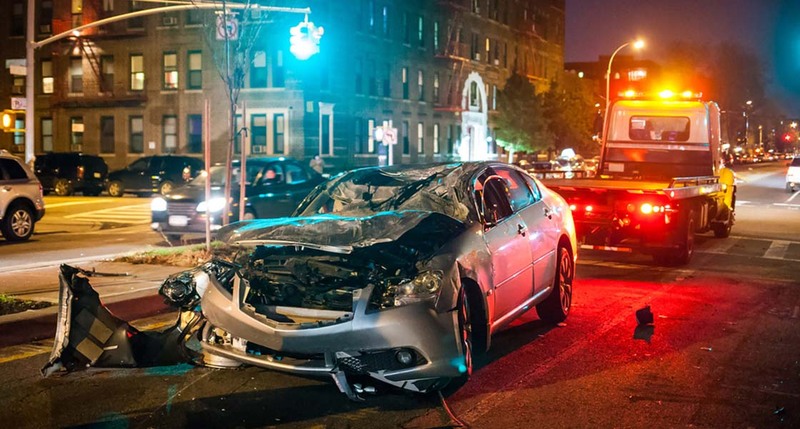 All other House Democrats voted against it, saying the legislation did not address elimination of the non-driving factors that they put forth in a separate plan, which did not get a hearing and had support from Democrats and Republicans. The separate plan also would have maintained unlimited personal injury coverage. They were joined in opposition to the Duggan-backed bill by nearly two dozen Republicans. “No matter which changes you make in different places, ultimately it’s going to impact somewhere else,” said state Rep. Sherry Gay-Dagnogo, D-Detroit, who opposed the Duggan-backed bill, arguing it did not guarantee rate savings and would have shifted costs to other taxpayer-funded programs, such as Medicaid. She added that the goal of any reform should be to reach consensus on all sides, rather than taking whatever path can get to a 56-vote House majority. State senators last year voted to pass a package of bills that would have given seniors 65 and older the choice between a $50,000 personal injury coverage limit or the current unlimited option. The bills also would have created a fraud authority in the Michigan Attorney General’s office and limited the cost of in-home attendant care. Other reform bills have been introduced in past years. In 2015, Duggan first proposed a plan, called “D-insurance,” to offer personal injury coverage tiers for Detroit drivers. Democratic lawmakers opposed the measure, saying it would offer weaker medical coverage and leave low-income Detroiters more vulnerable to financial harm should they be critically injured in a crash. Last year, Duggan supported candidates for the state Legislature who supported the “driver’s choice” model he has favored, several of whom ultimately were elected. In August, Duggan took the issue to court, suing Patrick McPharlin, former director of the Michigan Department of Insurance and Financial Services, to have Michigan’s no-fault system declared unconstitutional for failing to provide affordable insurance rates. While Duggan has been involved in past legislative efforts, “his focus will be on the lawsuit,” spokesman John Roach told Bridge. What do auto insurers want from policy reform? Auto insurers are seeking fee schedules on what medical providers can charge for services, tiers of personal injury coverage options and a stronger effort to root out fraud in the system, said Tricia Kinley, executive director of the Insurance Alliance of Michigan, which represents property and casualty insurers in Michigan. No other no-fault state offers unlimited medical coverage through their auto insurance policies. Those who say coverage tiers “are draconian ideas are really not looking at the fact that all other states have been able to make car insurance systems work” and at lower cost, Kinley said. She said capping medical costs could include setting a fee schedule based on Medicare or workers compensation programs, though she added that the insurance alliance is not prescribing a specific cap to allow discussions about a compromise to unfold. Kinley said the conversation about eliminating non-driving factors from the rate-setting process “is really a distraction” from the real factors driving up insurance rates — overcharging for and overuse of medical services. Removing those rate-setting factors in an effort to lower premiums in cities like Detroit could have the inverse effect of causing premiums to rise elsewhere in the state, and even within regions, she said. “Making arbitrary decisions to simply eliminate a certain rating factor just doesn’t make sense to us,” Kinley said, adding that factors such as ZIP code help insurers determine risk. What do medical providers want from policy reform? Hospitals want a closer look at how insurance rates are set, including the use of non-driving factors, and guaranteeing long-term savings for drivers while still preserving medical care for people who need it, said Chris Mitchell, executive vice president of advocacy and public affairs for the Michigan Health & Hospital Association. A starting place for past proposals generally has been to offer choices of lower benefit levels, government-mandated fee schedules for medical providers and costs of attendant care, Mitchell said. “There’s no looking at non-driving factors,” he said. Mitchell said the hospital association has not taken specific stances this early in the debate and is open to discussion. He said supporters of past proposals with coverage tiers couldn’t outline what would happen to someone injured in a crash who chose to buy less personal injury coverage once those benefits were maxed out. Tom Constand, president and CEO of the Brain Injury Association of Michigan and board member of the Coalition Protecting Auto No-Fault, a group of medical and other groups that support preserving Michigan’s no-fault system, said the coalition has come around to the idea of a fee schedule on medical costs, though there has not been discussion about what the caps should be. CPAN supported the Fair and Affordable No-Fault Reform bill package supported by a bipartisan group of lawmakers, including some Detroit Democrats, last term. Constand said other ideas CPAN supports include having the Michigan Department of Insurance and Financial Services take a more active role in oversight of auto insurance rates, and bringing more transparency to the Michigan Catastrophic Claims Association, a private organization created in the no-fault statute that pays the cost of medical care beyond the first $555,000 and charges fees on drivers’ auto insurance policies. What do trial attorneys want from policy reform? The Michigan Association for Justice, formerly the Michigan Trial Lawyers Association, is a member of the Coalition Protecting Auto No-Fault and supports the coalition’s position on fee schedules, said Wayne Miller, chairman of the Michigan Association of Justice’s no-fault committee and an attorney with Miller & Tischler P.C., a Farmington Hills-based personal injury law firm. Miller said the trial lawyers’ association also supports creating a fraud authority that covers all aspects of the no-fault system, including doctors, claimants and the insurance industry alike. He said rather than offering choices to drivers about the maximum amount of personal injury benefits they could purchase, one option should be to allow drivers to choose to buy higher personal injury deductibles in an effort to reduce premiums. A bill to that effect was introduced last legislative term, but died in December. Critics say Michigan lacks a robust system to detect and prevent abuses of the system. What’s new this legislative term? The first bill in the Senate this term doesn’t propose specific policy changes, but instead spells out the upper chamber’s intent when it comes to no-fault reform, centered around lower premiums, cost controls on medical services and rooting out fraud. Specifically, Senate Bill 1, sponsored by Sen. Aric Nesbitt, R-Lawton, says the Legislature intends to control medical costs, allow seniors 63 and over to opt out of personal injury coverage when they already have health insurance coverage, allow drivers to choose different personal injury protection coverage and reduce fraud. “We’re starting anew now. The bill that was submitted speaks to what our intent is, and now we’re sitting down and listening to what other people’s solutions are,” said Theis, now a state senator and the sponsor of the no-fault reform bill that failed in the House last term. In the House, Chatfield, the new House speaker, created a special committee charged with coming up with reforms to the no-fault system, to be led by state Rep. Jason Wentworth, R-Clare. Wentworth told Bridge the committee process will not start with a bill on the table, but rather will launch a discussion about how to lower car insurance rates that could lead to legislation. He said the process will be “solutions-oriented and factual,” adding that the committee will not be a place for finger-pointing or blame over past efforts. In some parts of the state, people are choosing between buying car insurance and filling their gas tank, Wentworth said, adding that Michigan’s no-fault system is a government mandate that has been made unaffordable for too many people. He said he wants to preserve unlimited coverage for people who have paid for it and need long-term medical care, while offering drivers the option of buying less personal injury coverage. Can no-fault reform pass this legislative term? “I usually get laughed at when I say this, but I’m absolutely confident that this is the term” for auto insurance reform passage, Wentworth said, adding that divided government creates opportunity for bipartisan solutions. Advocacy groups involved in the no-fault debate, however, appear less confident, though encouraged, by the early movement at the Capitol. Kinley, of the auto insurers’ association, said the group’s members are “really pleased” to see GOP legislative leaders signal that no-fault reform is a policy priority this term. The suit asks the court to compel the Legislature to rewrite the no-fault law within six months or return to the tort system that predated no-fault, a process in which at-fault drivers, through their insurer, are responsible for covering damages and medical costs for other drivers involved in a crash. Duggan has said the high cost of auto insurance in Detroit is a barrier to the city’s economic comeback, as low-income Detroiters often can’t afford to drive legally. This is how maddening this is. The special interests have such a strong grip on this situation that they even dictate the narrative. Here are some glaring talking points. Michigan has the highest auto accident medical costs in the nation. It is 5 times higher than number 2. The main component of the Michigan auto insurance is PIP, personal injury protection. This is currently the main sticking point with thoughts of tiers and cost controls and other convoluted and totally unnecessary twists being discussed usually to the point of impasse and then left to die. It needs to be capped at a much lower amount just as the other 49 states do. The unlimited feature that Michigan drivers are forced to buy is available in all 50 states already without state involvement. It is called disability insurance. We need to get the State of Michigan out of the disability insurance market. In Michigan, we are forced to buy state-run disability insurance that has no costs controls and there is no reason for it other than MONEY. This MONEY has created a very powerful multiple interest lobby with multiple fangs. How can the no fault portion of PIP at $192 per vehicle be a major contributor to cost. The average 2019 policy cost is $2,610 per year. CRC and others have pointed out repeatedly that the charges for auto accident related medical care are out of control. Correct this anomaly and costs will go down. Chuck, I think you are referring to the Michigan Catastrophic Claim fund that is applied to every vehicle. You insurer may not itemize the Personal Injury Protection (PIP) part of your auto insurance premium. Ask them for details or change insurer. I guarantee that the PIP is the largest single component of your premium. It is is more than collision, theft, liability, uninsured driver and under-insured driver premiums. I know this because I help folks write off a portion of the PIP when they file their MI tax return and apply for the MI Homestead Property Tax Credit. AAA (the American Automobile Association) for example, itemizes the PIP and allows a modest deductible to be applied to lower rates. Today in Michigan a medical provider is paid substantially more (sometimes multiples) to treat someone injured in an auto accident vs a workplace injury. There is ZERO justification for this other than that providers have come to rely on it. Step 1 in a solution should be a medical fee schedule for auto insurance similar to what we have for Workers’ Comp. Aggressive anti-fraud measures should also be part of solution, but reducing payment amounts would also reduce incentive to commit the frauds. With fee schedule in place, there could be no need to eliminate the high limits for the relatively few victims who truly need lifetime care. Taking care of people who suffer a catastrophic injury is a core purpose for insurance. Please act on this. I am 72, no tickets ,perfect credit, and live in Alpena. My insurance is crazy and when I get other estimates it changes very, very little. Help Mi. R.L. I don't gather that you actually understand how our no-fault system works, given that you failed to mention that under $200 out of a policy is for the unlimited medical benefits. And that the money earmarked for that purpose goes into the catastrophic claims fund, which is administered by insurance companies, and is supposed to be self-funding/self-sustaining. The remainder of your highest premiums in the nation are not, therefore, tied to the cost of that unlimited care. Make no change except to cap the medical benefits at $500k and you've reduced premiums by under $200/yr. The current situation is imperfect, and costs for care probably higher than they could be, but one must question the motives of the insurance industry that wants to eliminate that catastrophic claims fund, with no guarantee of premium reduction. Want to quickly lower the price of insurance? Mandate a state version of the federal Affordable Care Act, requiring Michigan’s auto insurance companies to rebate money to their customers when they fail to spend 80% of insurance premiums on claims. So if the changes are made, what will be the final results? Will medicare premiums jump for the seniors? Will health care costs jump for those younger? Other insurances aren't just going to assume more liability without an increase in premiums. First, let’s dispense with the myth surrounding the source of insurance profitability. Insurers accurately claim that auto lines premiums are not profitable. Profits generated by insurance companies are the consequence of a combination of managed investment risk and the strategic use of the time value of money (TVM). Premiums are a source of large pools of money (Float), not profits. Second, automobiles have become safer, injury accidents are on the decline, vehicle miles driven and crashes have decreased (MSP Statistics) and since 1978 open claims have shrunk by half (MCCA Reporting). Due to FOIA immunity the MCCA claims of pending insolvency cannot be verified and the law itself allows outrageous fees for medical and related services. Reform tinkers around the fringes of symptoms, ignoring the root causes of our high auto insurance premiums. Medical costs, faux industry transparency, suspect premium setting practices (the industry has repeatedly failed to provide substantive evidence justifying premium setting principles) are just some of the actual causes of high cost, not no fault. Act to fix, not reform, no fault auto insurance. This isn't a ZIP code issue. Please note that the MCCA premium for claims over $555,000 is the same for every car and every driver in the state. As Chuck Fellows points out, it's $192 per car. No ZIP codes, no credit rating, no employment history. Same premium for unlimited coverage in Albion, Alpena and Detroit, and it's not very high because most claims stay well below $555,000. But, those claims aggregate huge amounts, which are the real problem. Even if we prohibited rating by ZIP code, etc., for all rating factors (theft, collision), the rates would not diminish much in Detroit, while they would go up a bit in Alpena. The real problem is the medical providers' fictional "usual and customary" list of charges. All providers have a list of charges that they bill only to casualty insurers (no-fault, slip-and-fall home and business cases). They also bill them to the unfortunate patient who has no insurance to cover the leg he breaks while washing his windows. But, if the broken leg is covered by Blue Cross, Workers' Compensation, Medicare or Medicaid, the hospital charge, the physician's charge and the therapist's charge is much lower. Can we keep pretending the hospitals can justify special, higher charges, for no-fault insurance? Second, wipe out the "trial lawyer" scam. They don't try cases. They just claim one-third of the reimbursements to which their clients are entitled by the policies they bought and paid for. Dumb to allow such fees, when most no-fault claims are paid without argument. Third, end the nonsense of paying family members to "care" for injured folks. They get paid $20/hour, often 24 hours per day, and are told how to amass and prove those claims, also by the trial lawyers, who then take 1/3. Get those needs assessed and met by professionals. Cost control can continue good benefits, while lowering premiums. We force Michigan drivers to buy insurance to drive, threatening loss of their licenses. That doesn't sound like due process. It doesn't even sound fair. PIP appears to be a slush fund for medical care providers. There are few or no controls on prices charged or services delivered. Perhaps they use the slush fund to cover losses from uncompensated care. It doesn't look like medical care providers wish to be all that truthful about how they benefit from the current system. So far, comprehensive reform has been impossible to achieve. Legislators should take a careful look at the CRC recommendations for reform and adopt one or more of them. Incremental change is better than no change. Its about time legislators worked for the people of this state. Dont worry about your contributions, start worrying about the voters. We're tired of being ripped off by the special interests groups. Pass reform now!! So because Brooks Patterson has an accident we have to pay higher insurance. I ask why? I think we can make it better and cost less with a few pools and more transparency over this fund of lots of money. I don't trust private funds set up by Republicans with no real oversight of a bipartisan nature. Perhaps more open regulation may work. Also if insurance is more reasonable in $$$ the insurance rate of 100% would be more attainable. We are the only State with unlimited insurance which tells me this is not the way to go unless you are Brooks P.
How does insuring vehicles that cost as much as a modest condo figure into costs? Auto insurance cost 3 times more (and steadily rising) THAN vehicle cost. No insurance claims on vehicle and no points. What gives? People like me getting gouged. Ask yourself why we have mandatory car insurance. License someone to drive on our public roads and test their ability is fine, but why require them to be insured. Does the government require you to be insured before you walk on the sidewalk or ride your bike? The idea to require auto insurance is a scheme designed to 'get everyone to pay and rates will be lower' Haven't we learned yet about the failure of this strategy? (healthcare anyone?) Making us captives of an industry is un-American and leads to higher costs. What is next, mandatory life insurance so you can have a nice funeral and not leave others in the lurch? Government laws requiring you to buy cable, a TV or a radio so you can be aware that a tornado is coming? This is not freedom, and not the American way. President Trump mentioned it in his State of the Union speech. No coercion. Let me take my risks when driving. If I do wrong I will pay. If someone does me wrong they will pay. We have a legal system to resolve this. We all take risks in everything we do in life. Government involvement in auto insurance as in most markets is the source of the problem. We cannot legislate a solution. Set fees by the government for services is not the answer. Why can't the auto insurers negotiate the fee they are willing to pay a hospital for a medical procedure like a MRI? Why do auto insurance firms pay more than twice as much as other healthcare firms for this service? (It has been reported auto insurance firms pay hospitals $2000 for a MRI, when other insurers pay $750). The governments cannot decide what is the 'correct' rate. The government does not decide what auto repair shops charge for auto repairs, for example. Free markets must settle rates. I must be free, and you too, must be free to decide if we want any services or products of any insurance company including auto insurance. I am not a fan of mayor Duggan, but I hope his efforts succeed and the MI auto insurance law is found illegal. When that day comes I will cancel my auto insurance, be free and take my chances on the road. Get rid of no fault. Let's let every auto insurance company fight for our money. State involvement just makes the poor poorer crime rates go up cause everybody is broke . But if everyone can afford it they will have it . Keep ripping us off people will move and give there money to another state. Cause of where I live and state involvement . I play by the rules but how long till I can't afford to ? Maybe I should just get injured in an auto accident on purpose and I will be set for life. The only people who win in the mess are lawyer and politicians while insurance companies get rich. When the Feds start giving every single citizen a guaranteed Basic Income then they can tell me I have to carry auto insurance. Until then, stay the hell out of my wallet! I'm 53, on social security disability, and I own three vehicles (one new, two used, all paid for) and none have insurance because the mortgage, utilities, food, gas, medications (16 maintenance meds per day) and paying my large team of doctors my deductibles is ultimately more important. And no I can't rely on family or Uber for transportation. And no, there is no real useable regional public transportation in Southeastern Michigan because of the stodgy stuffed shirt named Brooks Patterson (thanks moron). I think that the federal mandate for auto insurance is unconstitutional especially in the absence of a guaranteed Basic Income. When the Feds are giving me money that I did not earn -- unlike my social security disability which I did earn -- then they can tell me what the hell to spend my money on. Until then, go pack sand idiots. I'm one of the 21% (and growing) of Michigan residents who cannot afford the auto insurance rates because we've been priced out of the market. In fact I can't afford the registration fees either. Both of my vehicles that I do drive (the third is garage kept) are titled, registered, and plated out of Ohio because it's at least affordable! No I don't live in Ohio at all but I do have relatives there. I live year round in Pontiac. Auto insurance in Michigan is a complete scam, and I for one refuse to participate in it anymore.